Getting no discounts on your recharge and bill payments because you are an existing user? Here we solve that problem. Here at PromoCodeClub, you can find all the April 2019 Recharge Offers and Bill Payment Coupons for OLD users at one place. So, check it out. These days, there is raining Recharge Offers, Bill Payment Coupons online. There are lots of offers, but most of those are for new users (customers) only. So, existing users feel bad in this situation. And, for old users, there are only a few coupons and offers for online recharges. 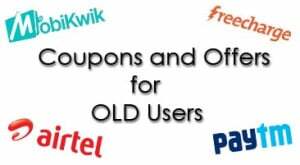 So, we are coming with this particular page dedicated to coupons for old users. Here, you can find recharge, bill payment coupons and offers for old users. Offers and promo codes from all your favorite online stores are there. We are updating this page regularly with the latest ones. So, don’t waste your time anywhere. Just bookmark this page and stay tuned for the latest updates. Get 6% upto Rs.1000 instant discount on Domestic Flight. No minimum booking value required. Offer is valid for bookings made Till Today 4 PM. Get 100% Cashback on mobile prepaid and postpaid payments. 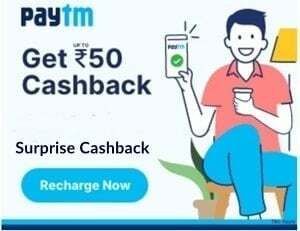 Max cashback will be Rs.50. Once per month. This an account specific code. Try your luck. Get 100% upto Rs.20 cashback. One time per user, 5 times/month. Offer valid for existing/old users. This is account specific code. Try your luck. 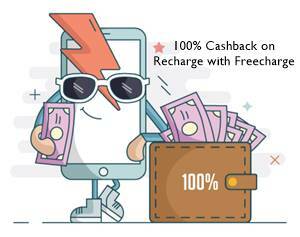 Get flat Rs.50 Supercash on minimum prepaid recharge of Rs.100. Once/User. Get 20% upto Rs.50 cashback on JIO Recharge or bill payment. Once/User. Using Credit Card/ Debit card/Net banking/FC Balance & UPI transactions only. Valid for Jio users only. Nowadays, most of us prefer online recharge and bill payment. The reason behind it is the various types discounts and offers we get. There are many benefits for recharging or paying your bills online. You can get benefits in the form of cashback, discounts, gifts vouchers and much more. But, the most of the recharge offers or coupons are there for new users only. 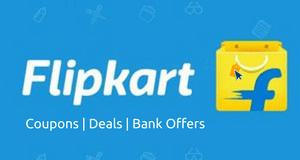 You can recharge, pay bills online, DTH recharge from a lot of online merchants. Paytm, Freecharge, Mobikwik, Ngpay and much more. They regularly offer cashback and discounts on mobile recharge, bill payments and more. But, most of the offers are for new customers who have not done any transaction on their portal before. So, here we, at PromoCodeClub is making this page dedicated to you especially. Here, you will be able to find all the coupons and offers available for online recharges and bill payments for old users. The Recharge Offers, Bill Payment Coupons listed above are for especially for Old users (new users can use them too). So, it is the perfect place for you if you are looking for exclusive coupons for old users for recharging and bills paying. Offers and coupons for Old users will work on recharge of most of the operators. You can do idea online recharge, BSNL recharge, Reliance, Aircel recharge easily. Offers also work on Airtel, Jio online recharge, and other top telecom operators in India. So, you can recharge your mobile number and make your bill payment without any hassle. Get the latest discounts and cashback offers from all your favorite stores like Paytm, Freecharge, Mobikwik or any other. The coupons will work for everyone (old and new users) but are specially listed, old users. So, now, you don’t have to waste any time for searching discount coupons for an existing customer. You need to visit this Coupons Old Users page to stay updated with the latest discount coupons and offers.